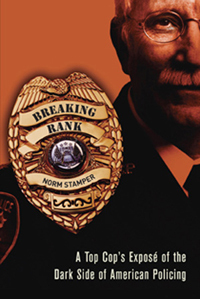 Norm Stamper was a police officer for 34 years, the first 28 in San Diego, the last six (1994-2000) as Seattle’s Chief of Police. 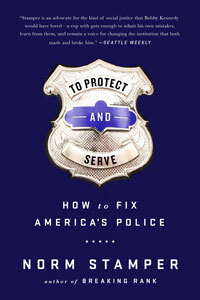 He earned his Ph.D. in Leadership and Human Behavior, and is the author of two books: To Protect and Serve: How to Fix America’s Police (2016) and Breaking Rank: A Top Cop’s Exposé of the Dark Side of American Policing (2005). He recently finished a novel and is at work on another. Throughout his career and into “retirement,” Norm has served as a trainer, consultant, expert witness, and keynote speaker. His commitment to police reform and social justice has shaped an agenda that calls for an end to the drug war; abolition of the death penalty; vanquishment of domestic violence from our society; a concerted effort to drive bigotry and brutality out of the criminal justice system; development of broad respect and support for the nation’s police officers; a campaign to make every school, every workplace, every neighborhood and home a place of safety, particularly for our children; rejection of mass incarceration; and a fully-fledged dedication to our civil liberties and constitutional guarantees. This quote by the Russian poet and filmmaker evokes memories of the vast numbers of long-dead citizens denied simple justice in their lifetimes. In only 17 states (plus the District of Columbia) is the barbaric, fruitless practice of human execution outlawed. The “Innocence Projects” around the country have freed over 200 wrongly convicted persons, many after having served 10 or 20 or more years in prison, some on death row. No one knows how many innocent people have been put to death in this country. The memory of even one should sear the conscience of the American people, and force our lawmakers to end the death penalty. Violence in the home denies basic security and emotional well being for millions of people, most of them women, many of them children. Being brutalized, terrorized, forced to live in fear of a “loved one” is an abject form of injustice.